Misha/Jensen Photo-Op. . Wallpaper and background images in the Jensen Ackles and Misha Collins club tagged: jensen ackles misha collins adorable handsome cute photo-op. 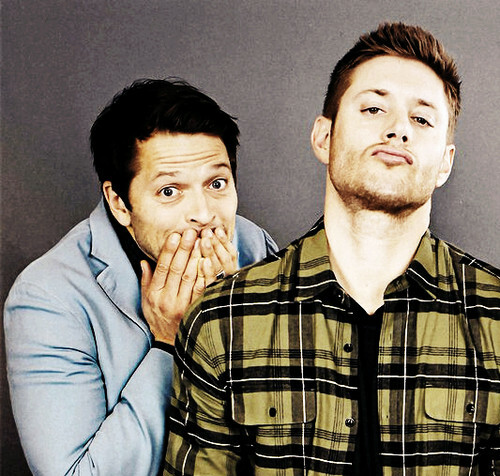 This Jensen Ackles and Misha Collins photo might contain setelan jas untuk bekerja and setelan bisnis.